So this evening I had to ride home just behind a thunderstorm in the Chicago area. I basically just followed the storm south east and it resulted in one of the coolest lightning storms I have ever seen. Lightning must have been. Going off every half second or so. Unfortunately I couldn't get any photos of the storm, but. 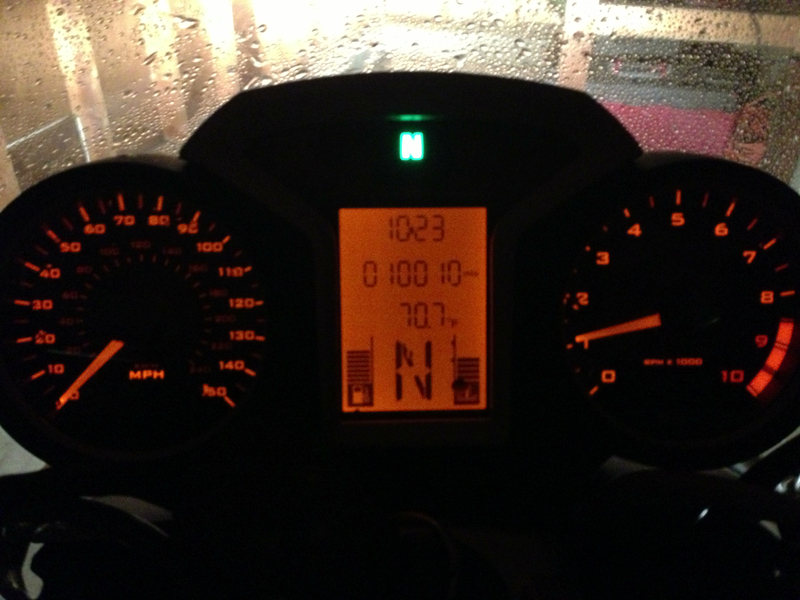 I did pass 10,000 miles on my motorcycle on this drive home.